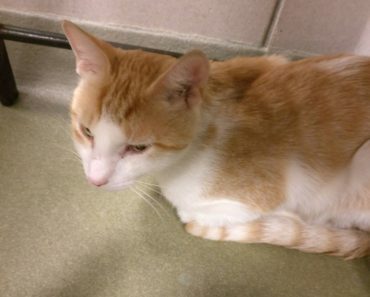 A kitten was found in a dumpster by a man who was riding by on his bicycle, in ALBUQUERQUE, NM. 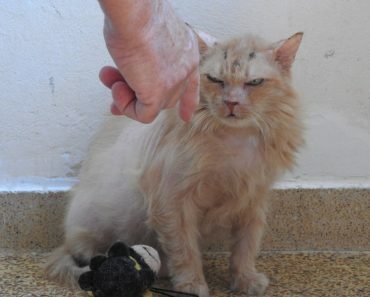 The man heard a kitten mewing really loudly so he looked in and he found this kitten near a few others who unfortunately weren’t alive. 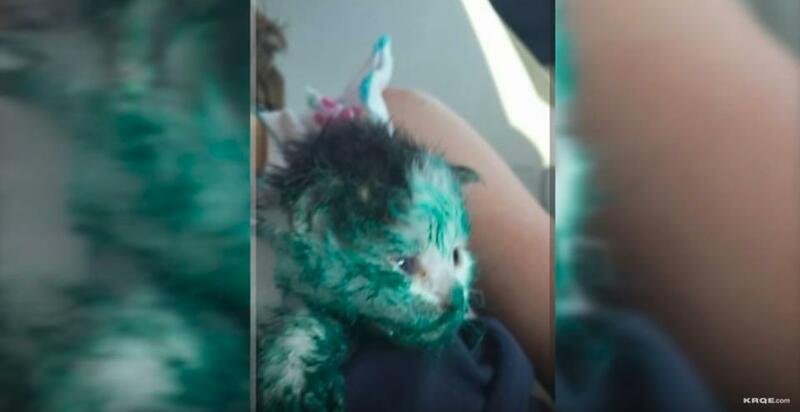 The kitten was paint-covered. “Her name is Teal and she’s now paint-free but it took about a week,” said Hall-Devoti, the kitten’s foster mom. 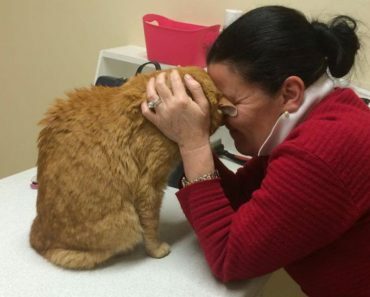 Wendy Hall-Devoti said she was at Blake’s Lottaburger near Washington and Menaul when she met the man who found the kitten. He was frantically rode up on a bike. “He’s wearing this really nice blue shirt and a tie and it’s all covered in blue paint,” said Hall. 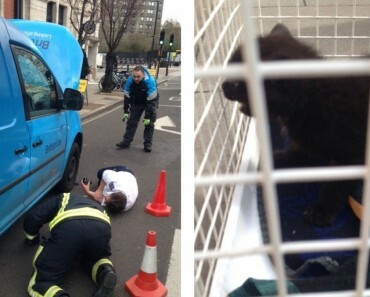 The man was searching for someone to help the kitten, She took the kitten, she rushed to help her but she didn’t get any information for the man who saved her. Now she would like to find the man to let him know Teal is going to be just fine. “Now we don’t know what happened to him and it was such a good thing to do,” said Hall-Devoti. “You know when you’re on your way somewhere and you stop to save a kitten in a dumpster.” she said. 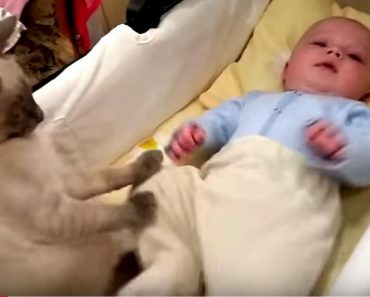 The ‘Purrrfect’ Baby Sitter! Adorable! 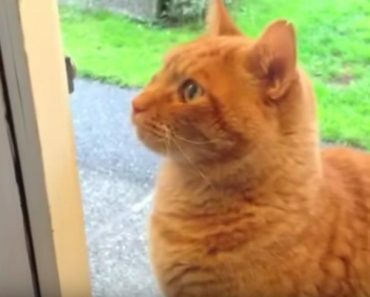 Cat Has A Clever Trick To Let Humans Know He Wants Inside!